Great hamburgers at amazingly low prices! 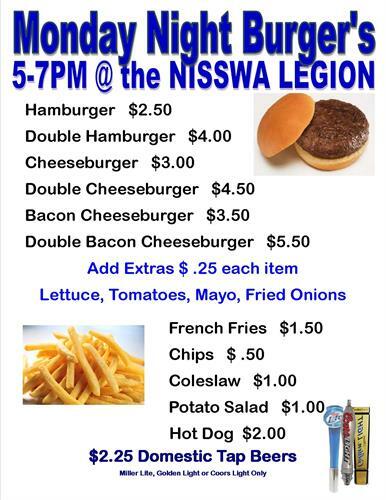 Every Monday the Nisswa Legion serves up plenty of piping hot hamburgers made the way you want. Tap Beer specials! Bring your cheap date and be home by eight!